The Hausmann Industries Rotating Weight Rack is a storage device designed to store various weights and is an ideal choice for any physical therapy and rehabilitation facility. Awesome Construction. 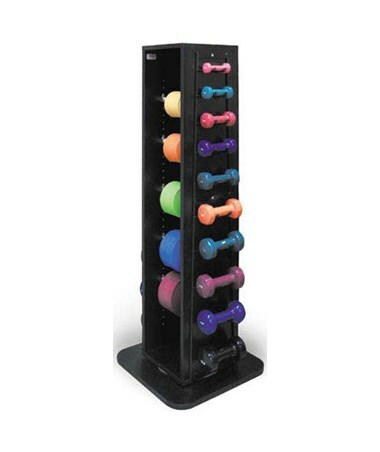 Designed to rotate 360°, the Rotating Weight Rack is easy to use, includes a pegboard with six (6) hooks for weights, hooks made to hold twenty (20) dumbbells and built-in dispensers for five (5) REP Bands™. 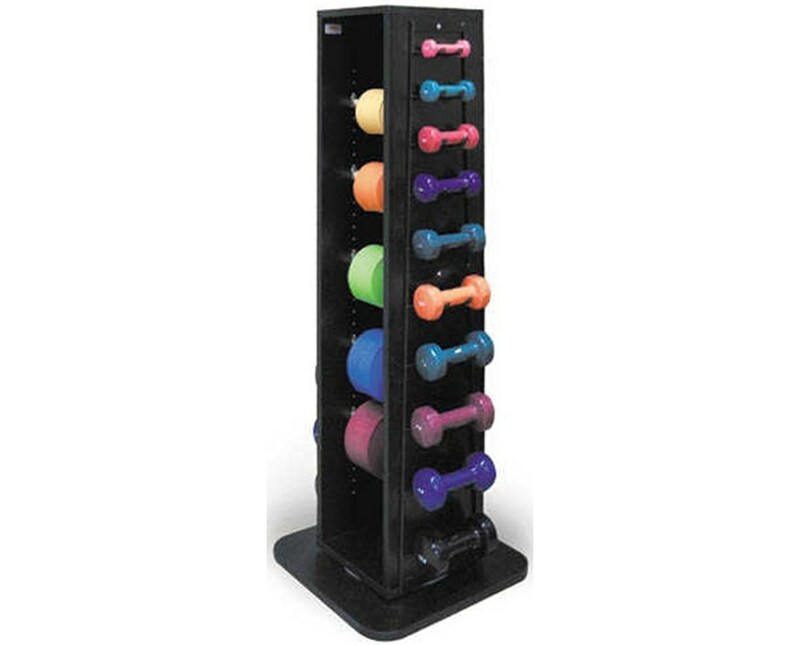 The Weight Rack has a durable black laminate finish and includes T-molding on its stationary base for protection against damages and scuffs.